Why is it the most unlikely places get named after such inappropriate choices? 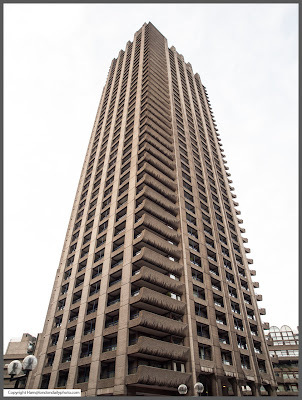 Allow me to present "Shakespeare Tower" in the Barbican, not much more to say, is there? Comments on "The Sound of the Bard Spinning"
Might've had a view of the Globe back when it was built. Now, you probably can't even get a view of Tower Hamlets. I remember visiting Southwark (I think) in 1999 and being allowed to view a watery spot, under a high-rise, where remains of the Globe were said to have been found. I don't know if this turned out to be true or not. Having just spent four weeks at Oxford studying Shakespeare with members of the RSC, it was all very heady. Steve A hit on just the right line. I love the Barbican. Yes it's brutal - a fine example of the type, but it has soul, and to me is beautiful & no, I wasn't drunk when I visited! Well, I suppose they need to be named after someone. 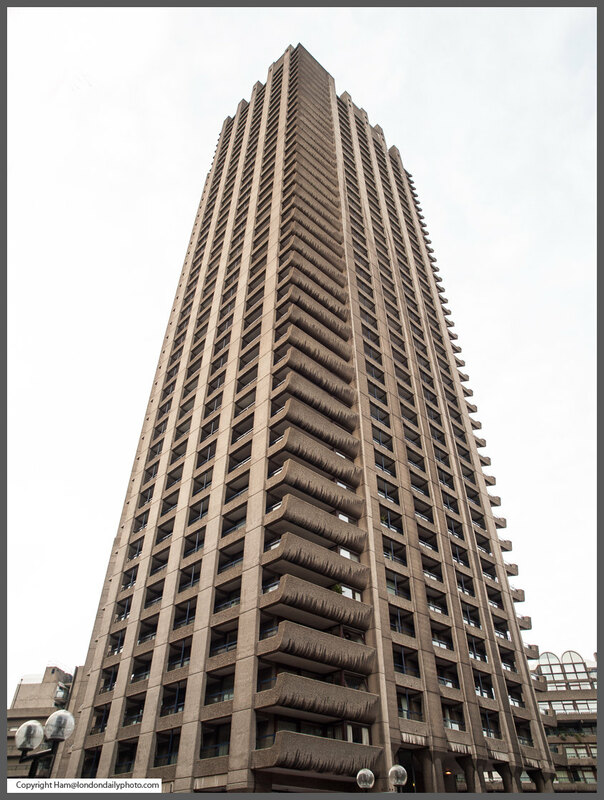 There are also buildings in the Barbican complex named after Ben Jonson, John Bunyan, Daniel Defoe, John Milton, Thomas More. The two other towers are Cromwell and Lauderdale, who no doubt deserve being commemorated in blocks of towering concrete. When the Barbican opened in 1982 it was home to the Royal Shakespeare Company.